This was a one-of-a-kind handcrafted vehicle, reportedly built for about $250,000. It was transformed into the Batmobile for the 1966-68 Batman TV series. The Lincoln Futura was a concept car which of course became the original Batmobile in about 1966. While it was still using the name Futura, it appeared in a 1959 movie, called " It Started with a Kiss" starring Debbie Reynolds ande Glenn Ford. She played the wife of a military man who won the car and ended up taking it to Spain to live with him while he was doing his tour. 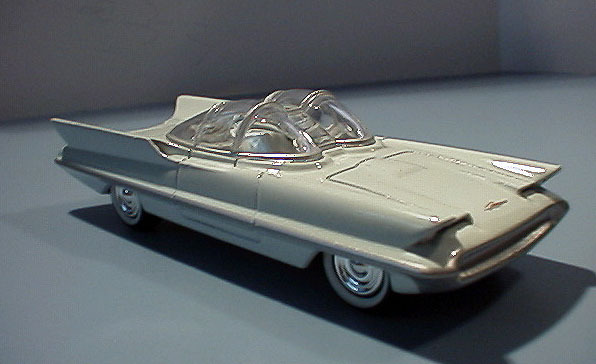 Overall, it was a pretty dumb movie as so many were in the 50's, but it's fun to see the original Lincoln Futura. How many stock Lincoln Futura's have been saved from the compactor? This is a true classic in every sense of the word. saw the batmobile on American Pickers, Mike and Frank went to George Barris Museum to pick and bought a coffin car built by George's son, somewhat like the grandfather's on the Munsters TV show.